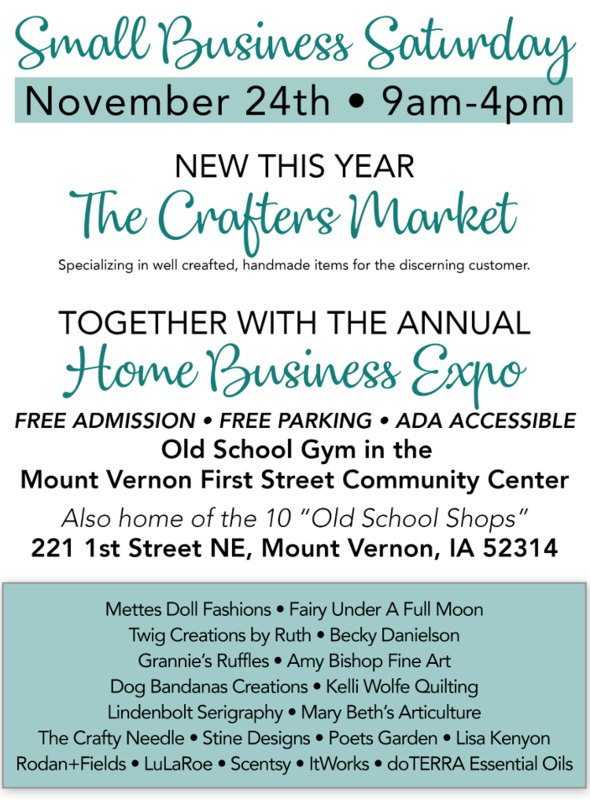 New this year, we are proud to be hosting The Crafters Market together with the Annual Home Business Expo on Small Business Saturday, November 24th, from 9am – 4pm inside the First Street Community Center’s Gymnasium. Displays from other local shops may also be on hand, including: Fairy Under a Full Moon and Twig Creations by Ruth. There is FREE ADMISSION and as always the First Street Community Center has FREE Parking. * Don’t forget while you are here to check on the other wonderful shops that call this building home throughout the year!